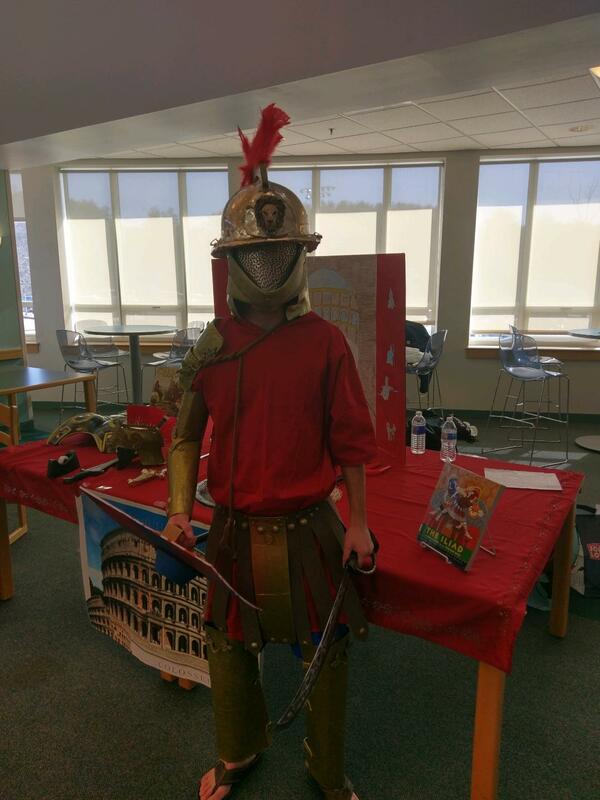 The Latin III-IV classes created a historical reenactment of ancient Rome for students from Blake Middle School to observe. Students were assigned a particular craft or profession from ancient Rome. These included gladiators, mosaics, cooking, weaving, pottery and fashion/cosmetics. Students had to research this craft and learn how to perform it. In class, students translated authentic Latin texts by Pliny and Seneca, that talked about the experiences of daily life in ancient Rome. 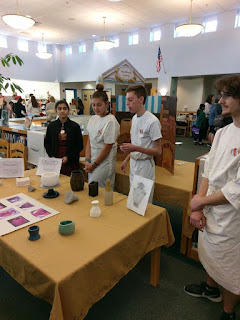 The culmination was to create a dramatic setting where the students could explain and demonstrate their skills to visitors. Each group created a scenario in which they talked about and demonstrated their craft. 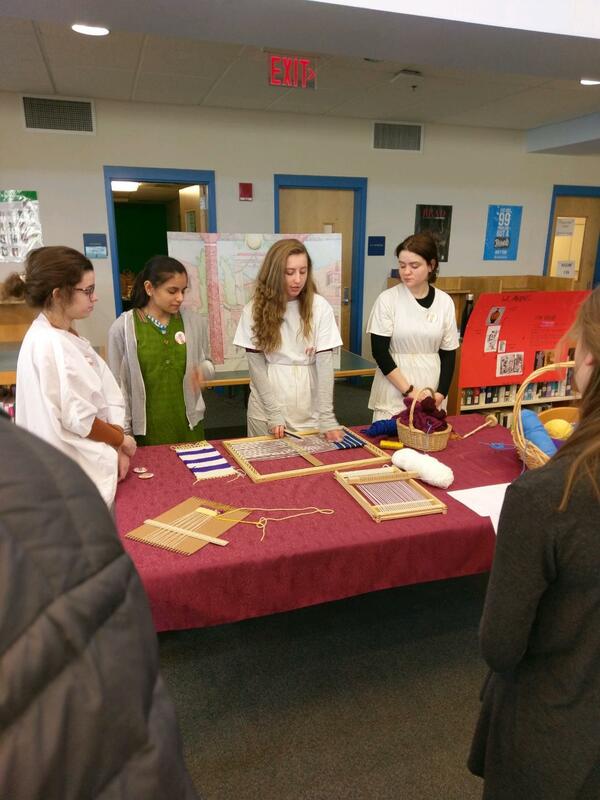 Visiting middle school students rotated from group to group and learned about daily life in ancient Rome. Visitors were also able to practice some of these skills themselves. 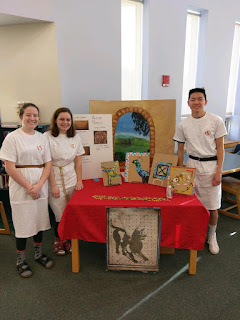 The next step will be to write a journal entry in Latin from the perspective of the character each student played. The idea is to think about how different and similar life would have been in a different era. 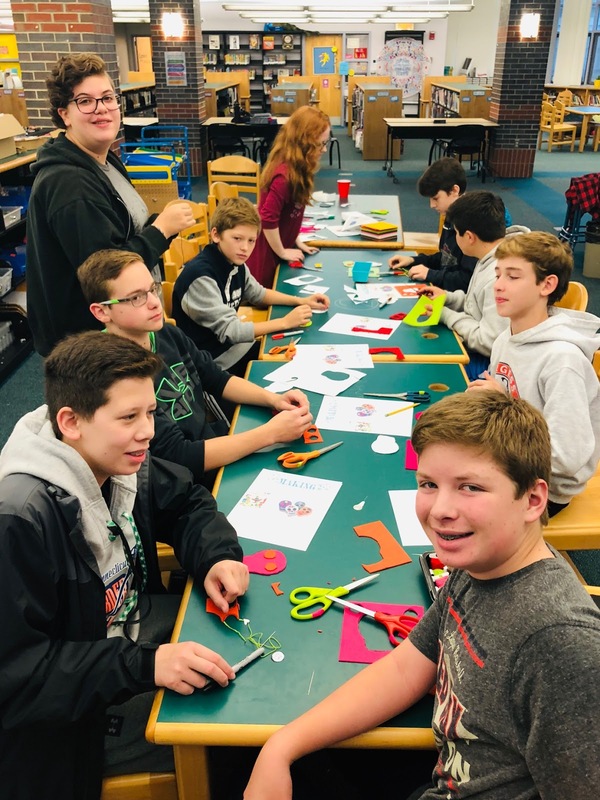 The students did a wonderful job and enjoyed working with our friends from the middle school. 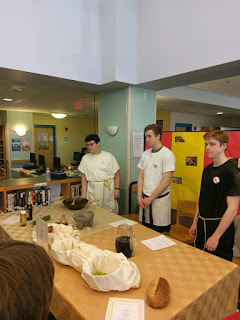 Medfield Latin students gathered yesterday for their annual banquet commemorating the ancient Roman Saturnalia. For the Romans, this festival honored the god, Saturn. The Romans believed that Saturn ruled Italy during the golden age. This was a mythical period when all men lived in harmony. Saturn taught the inhabitants agriculture and gave them laws. In time, the Romans honored Saturn with an annual festival. 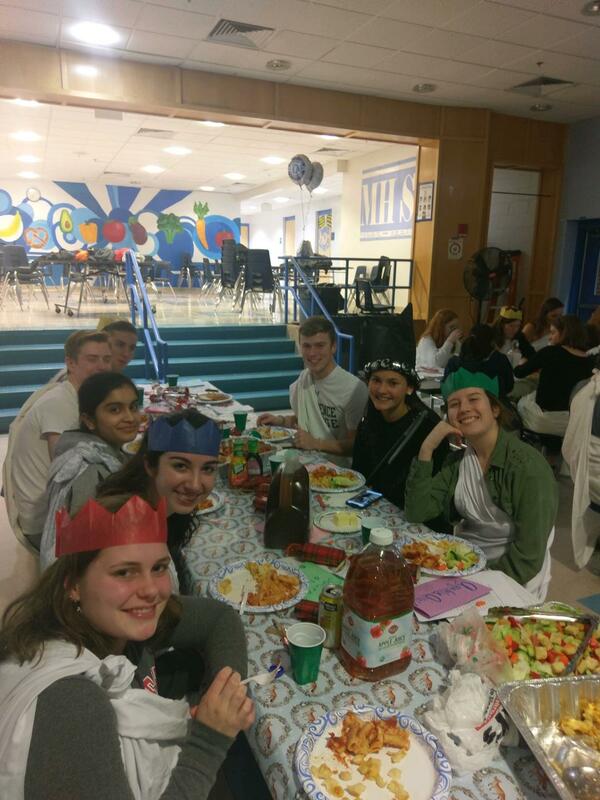 It was a time of merrymaking, feasting and gift giving. The Roman poet, Catullus, referred to Saturnalia as “the best of days”. In remembrance of the golden age, there was some degree of equality in the households, and slaves were permitted to participate with the family. Special felt hats were worn, and a king of Saturnalia or princeps Saturnalicius was chosen from among the guests. At the beginning of the feast, priests unbound the woolen bonds from Saturn’s feet in the temple. Once sacrifices were offered, a banquet was held. Families and friends came together and exchanged gifts of wax candles. 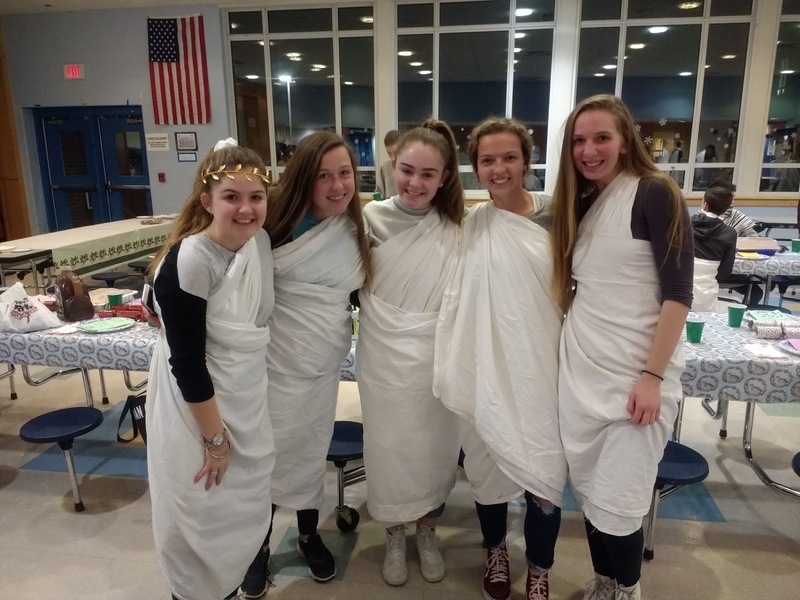 For Medfield students, Saturnalia is a time to be together and to celebrate their love of Roman culture. The students at Medfield began their celebration with the arrival of Saturn, chosen from one of the Latin IV students. The consuls led Saturn in procession to the decorated banquet hall and unbound his feet. They solemnly proclaimed the opening of the feast and made a special toast to the Latin students. Dressed in Roman attire, everyone sang Aquifolia Ornate Saturnalia-la-la-la. 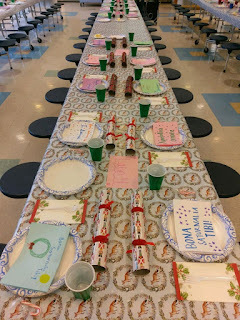 The students then sat at tables and donned felt caps from their holiday crackers. 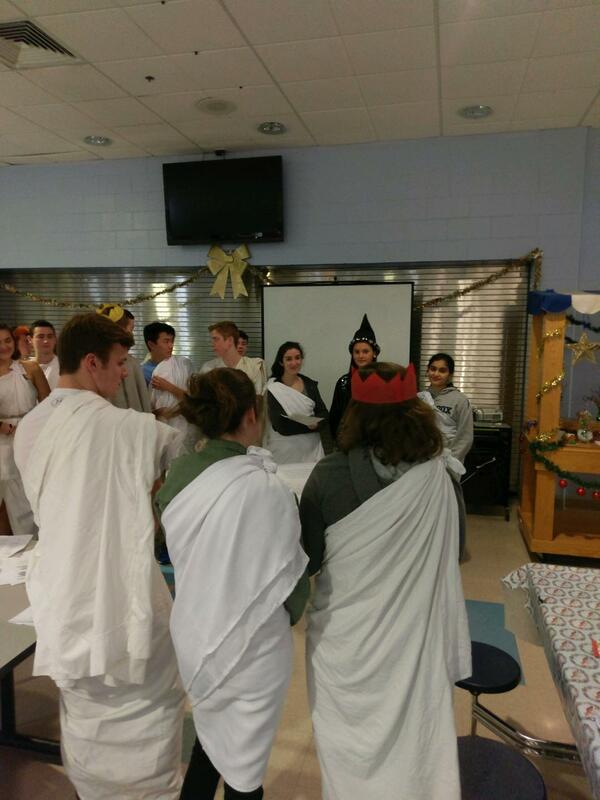 The Latin III students shared a video they made and explained the traditions of Saturnalia. 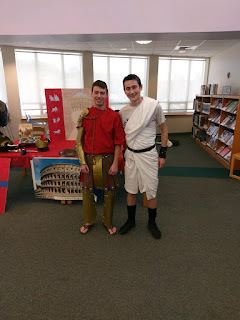 Following the meal, the Latin IV students debuted their own movie. This year was “How Pliny Stole Saturnalia” based on the popular Grinch movies. Pliny, a famous Roman author and notorious Saturnalian humbug claimed that he hated the holiday. After the film, the princeps Saturnalicius was chosen from among the Latin I students. Then came dessert followed by Trivia which the Latin II students organized. 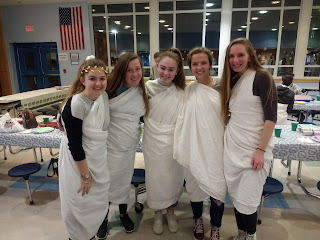 To end the night, the senior Latin students came together, and the consuls offered a special toast with words of remembrance for their classmates. All the students then joined them in singing Sodalitatis Veteris to the tune of Auld Lang Syne, a traditional Scottish song about remembering old friendships and cherished memories. 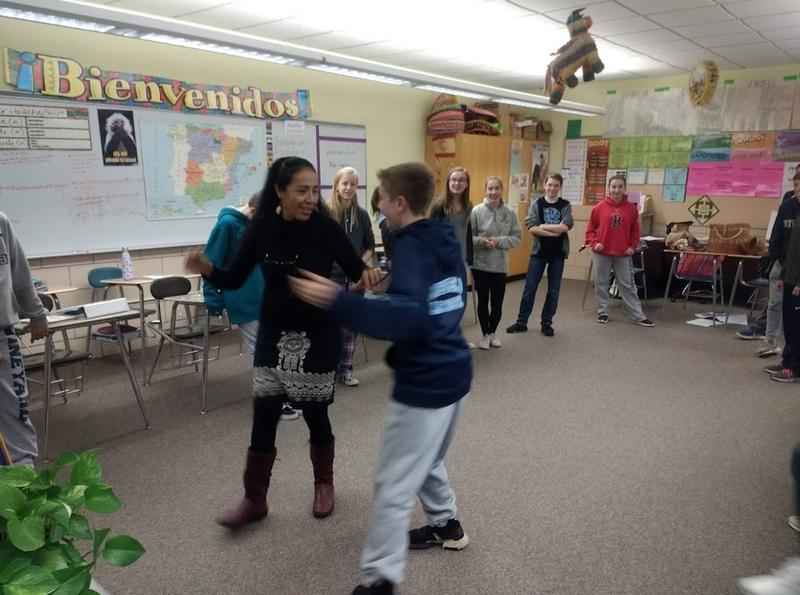 Grade 8 Spanish: dancing and shopping with Rosalba! 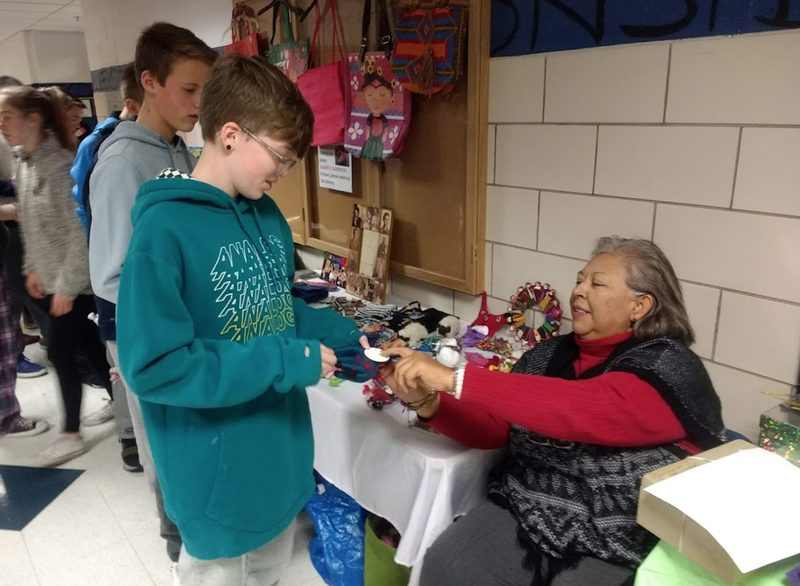 Thanks to a grant from the PTO, eighth grade Spanish students enjoyed a visit from Rosalba Solís right before Thanksgiving. She talked about Latin American indigenous cultures, led interactive games and taught salsa steps to everyone! Finally, kids practiced interacting with a vendor in the pop-up mercado that Rosalba and her sister set up outside the cafeteria. 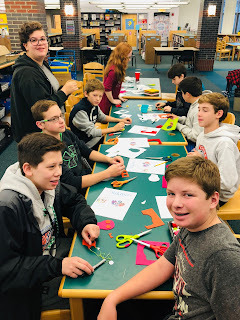 Being able to interact with native Spanish speakers was a great opportunity for our students, and the cultural benefits were packed into each of the six classes.¡Muchas gracias a Rosalba y el PTO! 8th Grade Spanish students spent time this week studying the symbolism and significance of El Día de los Muertos. 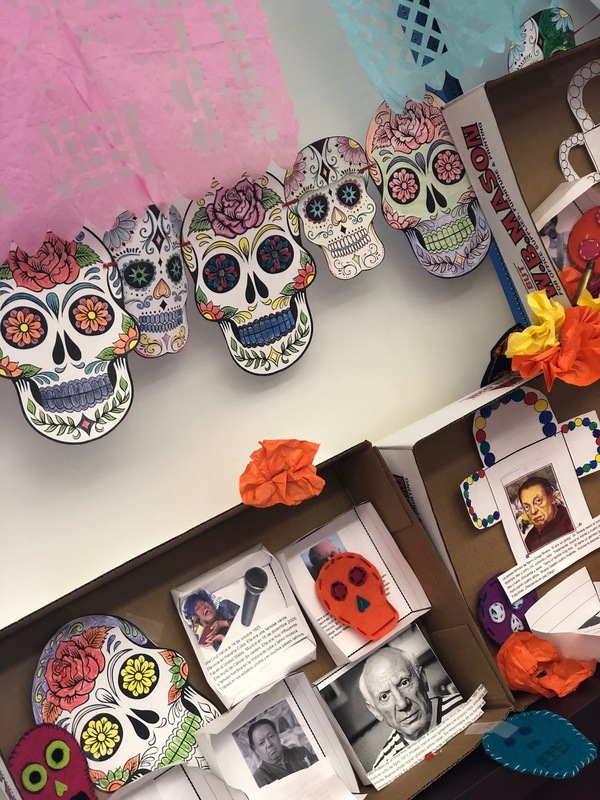 Classes met in the Makerspace to create calaveras y cempasúchiles (skulls and marigolds) and learned of their importance on the ofrendas that families construct in their homes this time of year. 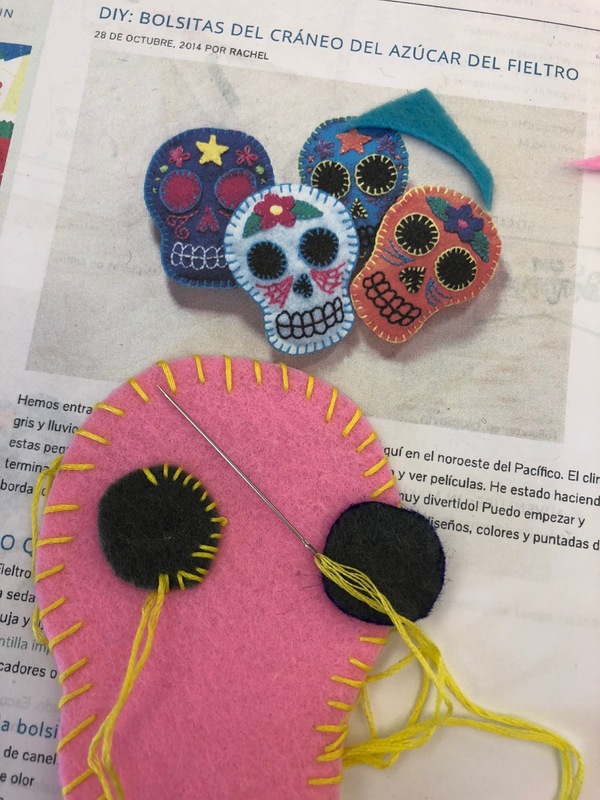 Students are ending the week with a viewing of the movie Coco and a deeper understanding of why this is such a special time of year in México. 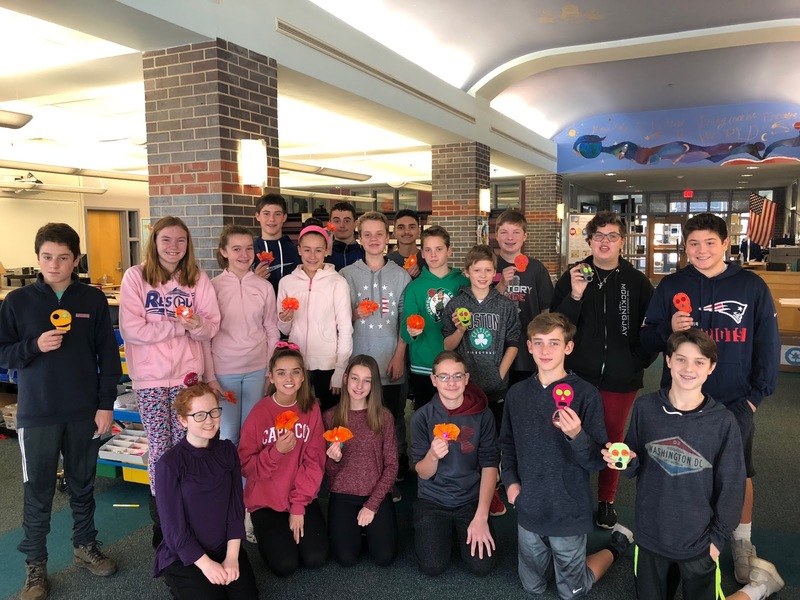 Making our light up marigolds! We had visitors from Bengbu China stay with us from September 25th to October 5th. 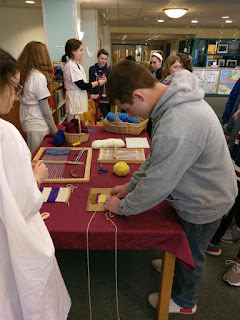 What a great experience for both visitors and our students in Medfield. It truly opened another world to us. 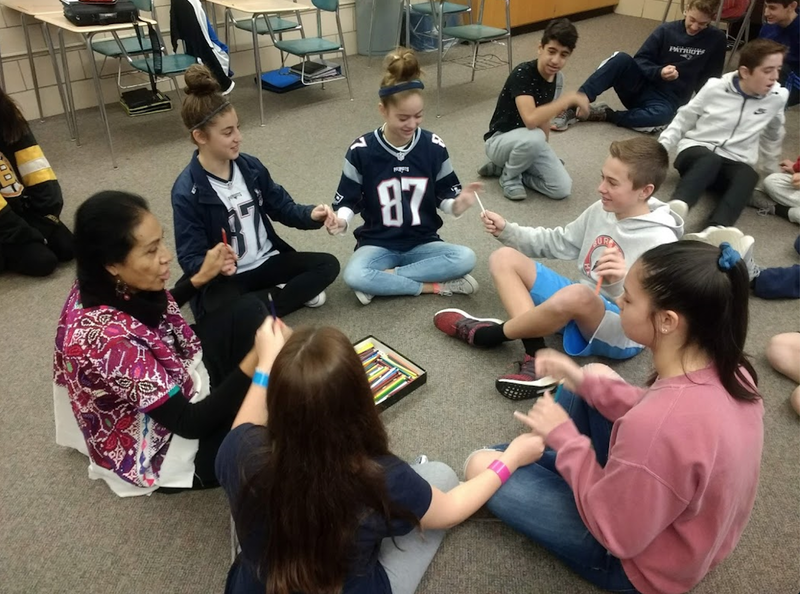 During the stay, visitors did cultural presentations and music shows to Medfield students and families. We truly learned a lot from them. 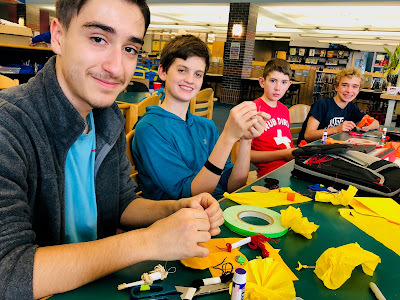 Below are the short stories from our four host students and link for pictures. French 2 students are actively participating in an exchange of letters with pen-pals in France. Students at the Lycée Saint-Exupéry in Lyon are writing to MHS students in English, and in turn our students write to them in French. It has been rewarding for them to realize that it's ok if the grammar isn't perfect and they are all learning a language. Can your correspondent understand you? That is the main goal. So far this year, the students have already exchanged letters twice, and of course have connected on Instagram and Snapchat! Through this authentic exchange (via regular mail), they will write about themselves, their families, sports, music and movies, as well as their travels. Receiving actual letters on French paper and seeing how differently the handwriting is - that alone is very interesting. Later in the year, there will also be an exchange of quick videos, which are a lot of fun to watch. We are very lucky to have this opportunity, and I'm sure it will be a very rewarding exchange all year! We learned a great deal from working with him throughout the afternoon. It was a great way to spend our professional development time. We had the rare chance to gather all the teachers from all four buildings in town and hear the same up to date professional practice tenets that guide our everyday passions: teaching our Medfield students to communicate in another language. He underscored the importance of speaking the target language during class and we dove into different types of feedback that did not necessarily include a grade. Coaching was the word of the afternoon as we learned different ways to coach our students to level up their proficiency levels in the languages that they study. The experience was energizing and professional. Many of us left with a renewed sense of purpose as we head into the second half of the academic year. 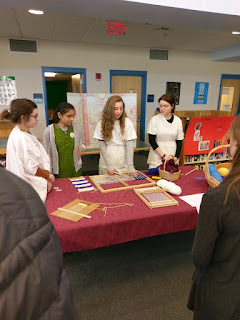 As I mentioned, WLClassroom was also favorably impressed with some of what we already do in Medfield. Srta. Seri's model grammar/ target/word/ walls were a great hit! WLClassroom helped to affirm our proficiency practices and encourage us to continue to work toward proficiency for all of our Medfield students.